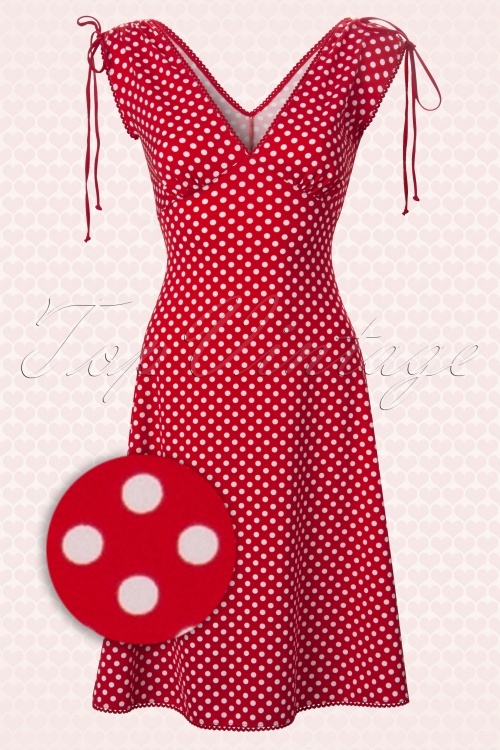 The Anna Dress in Red White Polka Dot by Pinup Couture - If you're looking for the perfect casual-yet-cute dress, look no further! Made from a soft, stretchy poly/spandex blend, The Anna Dress by Pinup Couture is as comfortable as it is cute! Features include: a soft, feminine a-line shape, gathered shoulders with ties for adjustability, a deep-v gathered bodice that compliments any bust size. Dutch actrèss Susan Visser wore our dress in the TV program: Wie is de Mol?